Ok, ok. I realize that statement is probably not very exciting without explanation. Mom had asked me if there was anything in particular we'd like as a graduation/wedding/Christmas present. We thought about it and we need things like nightstands and a dresser and such, but felt like it'd be nice to have something less utilitarian—something classy, traditional, nice, and would be with us for awhile. We thought it'd be nice to have a key-wound chiming wall clock. 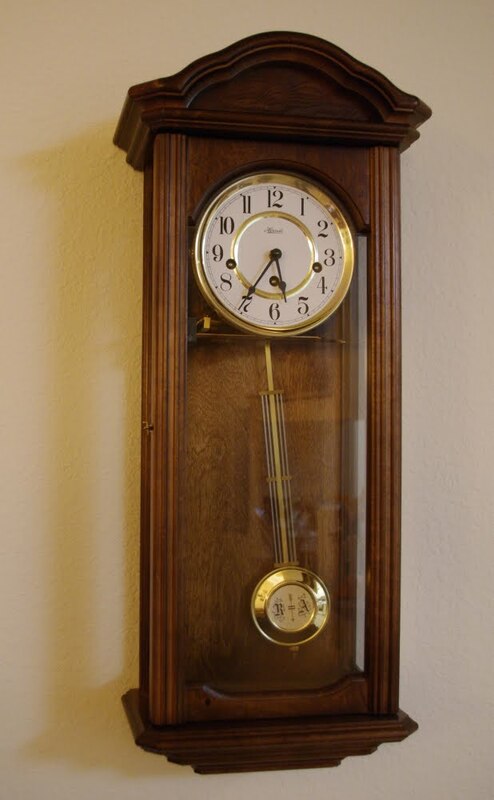 Growing up we had a chiming clock in the living room which was nice. So I mentioned this to Mom and on Christmas morning one of our presents was a list of clock options (so we could pick one in particular that we liked). Later in the day we sat down and went over the list several times slowly whittling it down. We eventually made our selection and Mom put the order in. 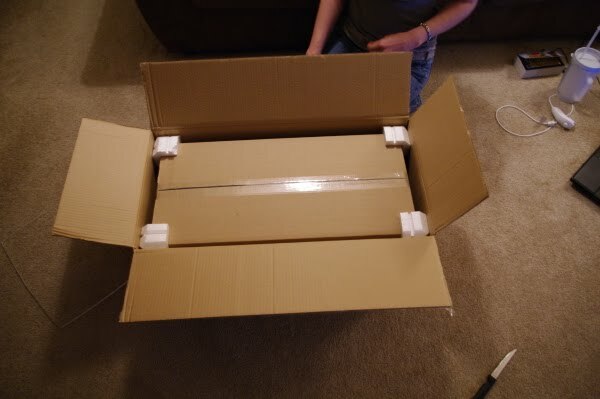 Then we eagerly awaited its delivery. It was made in Germany. Apparently the Germans are the only ones who still make nice fully mechanical clocks like this. 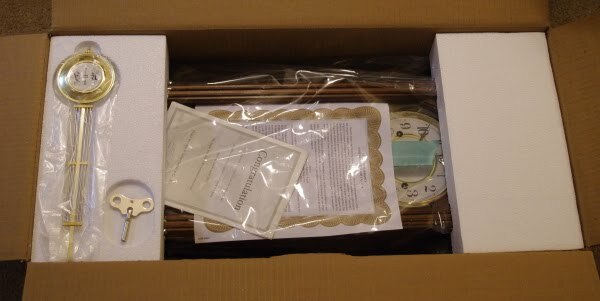 Here it is in the box. The first language on the instruction manual was German, not something you see everyday. We like it. I appreciate the level of skill it must require to build a clock like this. I think if I lived before the era of computers I might have become a clock maker, putting together the gears and stuff is like programming but with metal! Though, there is the problem that if I lived during a time without affordable eyeglass solutions I would've had an issue. There is more than one verse to that song?! Whoa! I love that song! Oh wow- excellent taste. I love that clock! Next Next post: "Eat your veggies!"